Luke is a Welsh pianist. Originally from Wrexham in North Wales, he started playing the piano at the age of 5 and made his debut recital at the Wrexham Arts Centre aged 10. Since then he has performed all over Britain in venues such as Eaton Square - London, St. David's Hall - Cardiff, Bradshaw Hall - Birmingham, Pump Room - Bath etc. 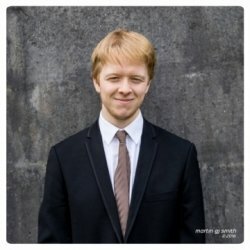 He has also performed in France (Salle Cortot - Paris), Luxembourg (Philharmonie de Luxembourg Chamber Hall), Italy, Austria (Wienersaal - Salzburg), Spain (Palau de la Musica Catalana - Barcelona), Majorca and Slovenia and has won prizes in competitions around Europe notably 2nd Prize and Mompou Prize at the prestigious Maria Canals International Piano Competition, 1st Prize at the Bromsgrove International Musicians Competition, 1st Prize in "Aci Bertoncelj" International Piano Competition, Slovenia. 1st Prize in "Section A" Chopin-Roma International Piano Competition, Italy, and 3rd Prize in the Manchester International Concerto Competition, UK. He was also the recipient of the 16-19 'Blue Ribbon' Instrumental Award at the National Eisteddfod in Wales. Most recently, Luke performed Tchaikovsky Piano Concerto No.1 at the Palau De la Musica Catalana in Barcelona to a packed audience in the Final of the Maria Canals International Piano Competition. Furthermore, he has had broadcasts of his performances on BBC Wales Radio, S4C Television, Radio Vaticana and Telepace in Italy. He has performed Rhapsody in Blue with the BBC National Orchestra of Wales, Tchaikovsky Piano Concerto No.1 with Jove Orquestra Nacional de Catalunya, Beethoven's 3rd Piano Concerto with the Manchester Camerata and the Liszt No.1, Mozart K488 and Grieg concertos with other British orchestras. At the age of 5 he studied with Eva Warren, and then at the age of 8 began studying with concert pianist Andrew Wilde. 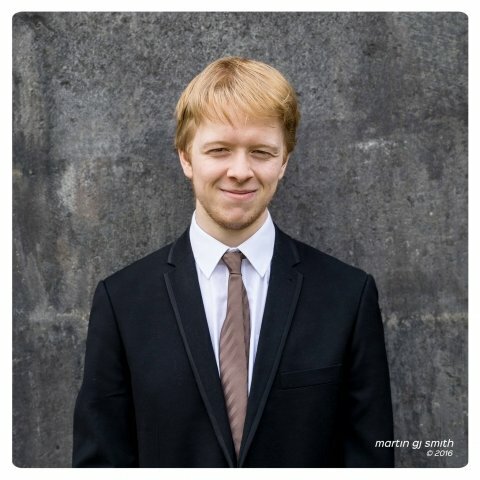 Subsequently at the age of 11 he was awarded a place at Chetham's School of Music where he studied under the Head of Keyboard, Murray McLachlan from 2006-2013. Between 2013-2015 he studied at Conservatorio di Musica 'Lorenzo Perosi' Campobasso under the guidance of Mº Carlo Grante. Currently he is studying at the Royal Northern College of Music, Manchester where he has studied with Prof. Frank Wibaut and is now currently under the tutelage of Prof. Dina Parakhina. Luke has been fortunate to have had masterclasses/lessons with notable pianists such as Leslie Howard, Vladimir Tropp, Sergejs Osokins, Bernard Roberts, Hamish Milne, Peter Donohoe, Stephen Hough, Llyr Williams, David Wilde and Philippe Cassard. I have taught privately for many years, teaching a variety of students from beginners to advanced diploma level. I taught at the Manchester Piano Room run by Sonia Gergis for two years and I have also taught on the RNCM's Pedagogy scheme which equips students with a varied methodological approach to teaching and sends participants to teach at schools in Manchester. My approach to teaching combines all that I have learnt from my time studying with eminent teachers at Chethams' School of Music, RNCM and my extensive experience performing internationally. I like to place an emphasis on combining the intellectual aspect of score analysis, harmony and music theory more generally with developing a sense of cultural and historical style and practice. Additionally, I have spent a great deal of time examining piano technique and developing an approach which can be utilised by people of all levels so as to develop a solid technical grounding, facility and relaxation to prevent injury.